By Gordon Frickers 50 x 76 cms (20″ x 30″), oils on board, original sold to a private collection in Brest, France . 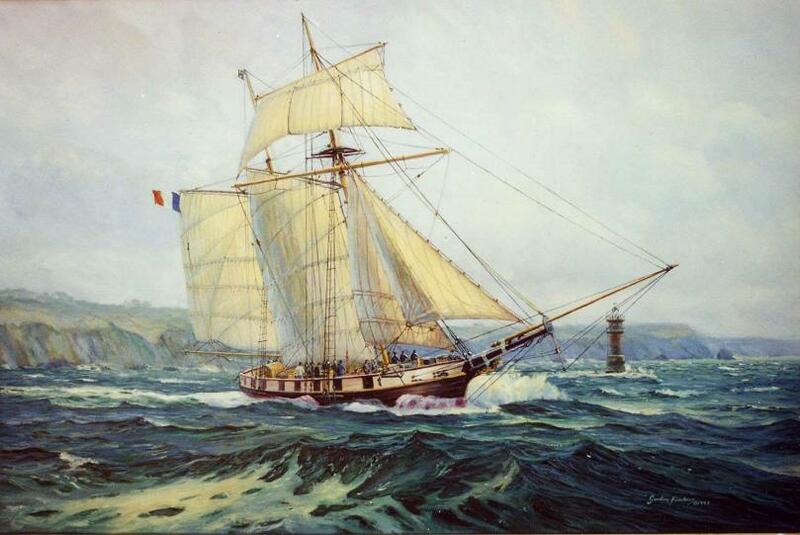 This beautifully built and maintained French replica Schooner of war launched at Brest 96. This study made before La Recouverance was launched, showed how dashing ‘Goélette’ La Recouverance would look when rigged and under sail. 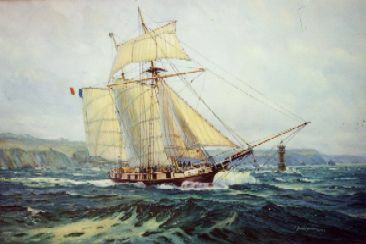 Shown here sailing in Le Goulet de Brest (‘the neck’, entrance to the extensive roads of Brest, to this day a home of the French Navy), this superb replica was built as the result of a bar room bet with a shipwright. He said he could build a schooner in six months. La Recouverance was launched with great ceremony at the vast Maritime Festival Brest ’96. Brest remains her home port. A beautiful original marine painting, I am very happy to have sold this marine painting to good friends in Brest. La Recouverance has pride of place in their collection, so from time to time am able to see it again. 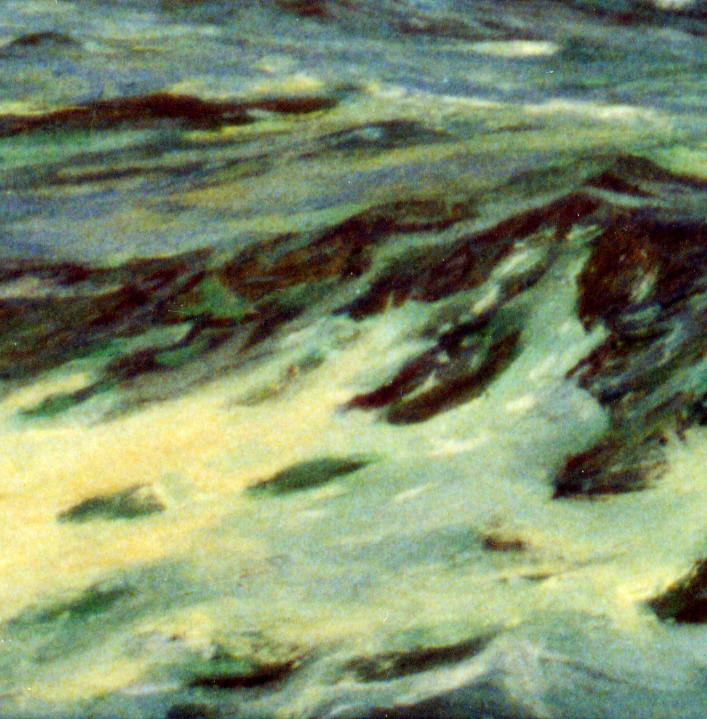 Would you like to acquire or commission a painting of this quality?